Phylipp Dilloway served as a cadet on the USMSTS American Pilot training ship in 1946 as one of his final requirements for completing his training as a merchant mariner at the New York State Maritime Academy (now SUNY Maritime College). This journal contains near daily entires describing his life on the ship as well as mementos attached to the pages. The journal starts on June 2nd, 1946, one day after the cruise started and ends on August 18th, 1946, about 2 weeks before the end of the cruise. 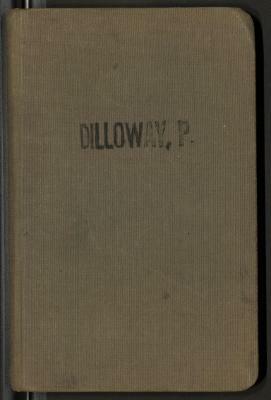 Phylipp Dilloway released the material he created into the public domain by selecting the CC0 Public Domain Dedication in the Deed of Gift.